Gavankar — best known as Iden Versio from Star Wars: Battlefront 2‘s story mode — played DLC character Tatai in Horizon Zero Dawn. She has expressed great appreciation for developer Guerrilla Games and was also apparently a fan of the game even before appearing in it. So it’s probably not a surprise that, when an appreciative fan approached her at Star Wars Celebration, she effused about the game, saying, “Just wait until you see the sequel. I know some secrets. You’re gonna die!” The comments were captured on a Twitch clip that’s since been deleted, and transcribed in this Reddit post. I’m not sure if she was supposed to say that, honestly. Usually these games are kept under wraps until, say, an E3 show or a State of Play reveal. Beyond the existence of the sequel, she revealed nothing else — and of course there’s always the chance the sequel’s more of an idea than anything already in development. Logically, we all suspected a sequel was likely to be in the works by now. 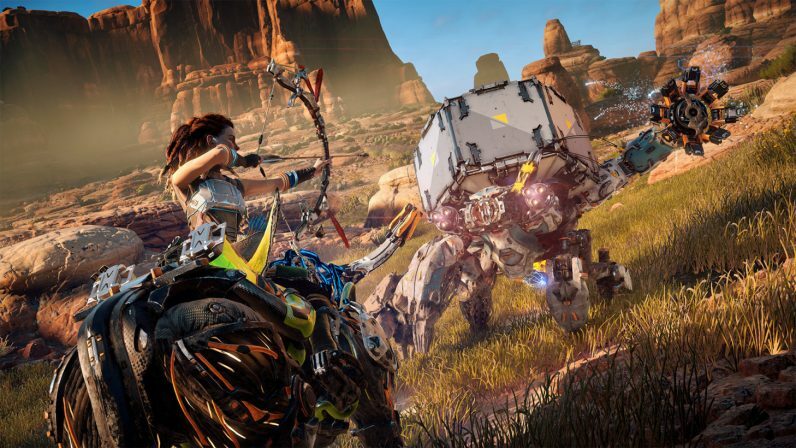 HZD was a critical and commercial success, hitting ten million copies sold by this February. My colleague Bryan Clark called it a “masterpiece.” Given that the Uncharted series wrapped up pretty definitively a few years ago, it’s not a surprise to see Sony turning its attention to another first-party title it can turn into a dynasty. As for when we’ll get it, it’s hard to say. I’m going to guess that, if it were to be announced this year, it wouldn’t be for some months. We already know Sony is skipping this year’s E3 to explore “new and familiar ways to engage our community.” I don’t think it’d want to miss one of the most-watched industry conferences of the year if it had this kind of an ace in the hole. So most likely the developers aren’t ready to show what they have. Voice actors can work on a game at a very early stage of development — one of DMC5‘s voice actors let slip its existence in 2015, three years before it was revealed. Here’s hoping we won’t have to wait that long.